Some of you may have noticed the new Project Diva release of Trading Strap Track02, which offers us more straps with Miku’s Project Diva outfits! 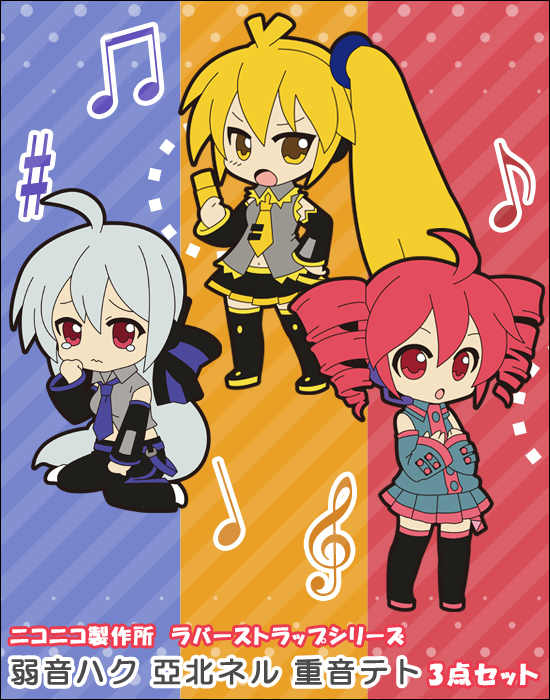 Piapro also released news on some trading straps as well, containing Haku and Teto! Hobby Stock (the manufacturer) has a site dedicated to the trading straps, be sure to check it out here! Lots of nice animation. 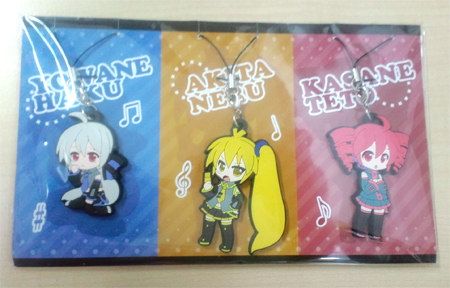 Piapro also released some new today about trading straps of Teto, Haku, and Neru! These three come in a set for 1,890 yen at Nico Nico Chokuhan with a release date of this month. Unfortunately, they are sold out but perhaps one of the bigger hobby shop will carry these straps! The picture below includes Miku to show the scale of the other straps. 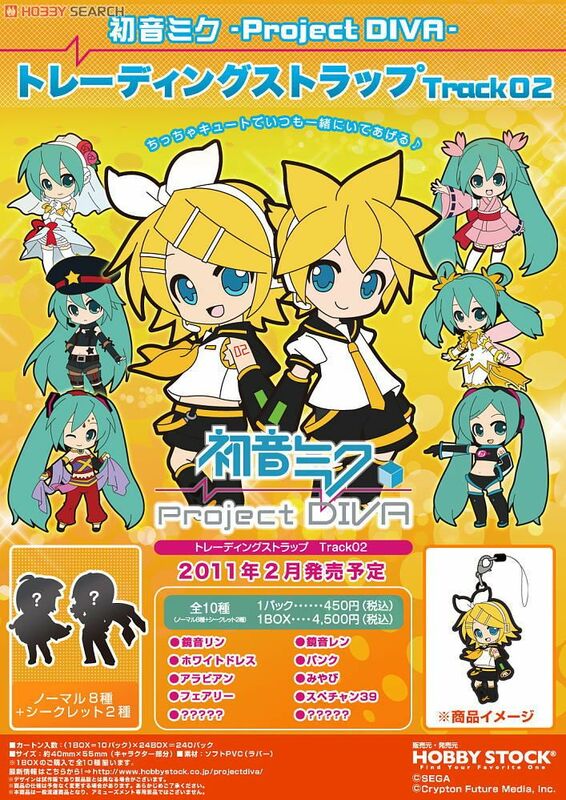 omg i wanna buy the kagamine one!!! T-TETO! I thought they didn't endorse her because she's a Utau! That's epic~ I hope they restock, I'm going to save my money so I can maybe buy them. Bought one single box from PlayAsia :3 I wouldn't mind getting any of them.